Our own Mary Dickinson was nominated to try for the Sadie Simpson Scholarship! What an honor this has been for Mary and our school! I had the good fortune to know Sadie Simpson when I was a child dancing she was an amazing woman and to have a dancer try for her scholarship made this dance teachers heart swell with joy! The weekend was held in Nashville Tenn. at the very fancy Gaylord! We had two other dancers, Nolan and Sydney that participated in the dance workshop! What an amazing trip we had! The dancers worked hard, danced all day Friday,Saturday and Sunday. There were amazing teachers/judges there from all over the world! I loved getting to take notes and meeting so many people it was such an amazing trip! Mary came in second for the scholarship and we couldn't be more proud! All of our dancers left with steps running through their minds and sore feet! Great workshop! We are super excited to be having our first workshop of the summer! Our mini workshop starts this Monday and runs to Wednesday June 12-14 th. And we have a special offer to new beginners! 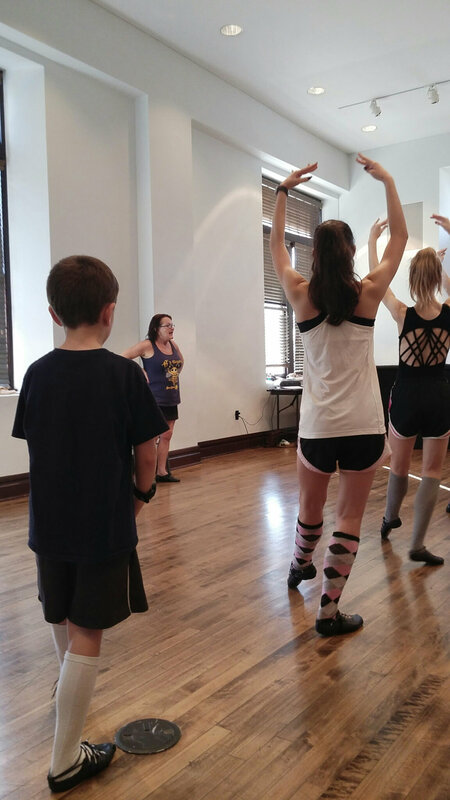 If you want to give Highland dance a try this is the perfect way, Our dance camp is 50% off for first time beginners! Our beginner camp times are 10-11 each morning of the camp. If you are interested please contact me and we can get you set up! We are now gearing up for competition season. As parents our minds go to how do we feed our children to help them perform their best. When and what should they eat before a competition, what about during the competition and after. What should they carry in their dance bag? What about regular dance days? " I'm busy running kids to all their actives, How am I supposed to feed them properly for them to achieve their best?" There are plenty of really good articles that cover just those topics. I am not a nutritionist by any means, but I have put together some articles that I think are very helpful. Well our first competition of the season is nearing. The San Antonio Highland Games and Celtic Music Festival just put out the Highland dance entry forms. This is always one of my favorite games to go to, they have Highland dancing of course but they also have field events, sheep herding, Living History, along with some great celtic music. This year I'll be bringing y camera and hopefully get lots of photos. It is a small event that seems to be growing every year. So dancers we have been practicing during the off season and now gearing up for competition time. keep up the hard work! Those of you that are working towards regional should be really focusing on technique we're in the last little stretch keep pushing hard and eat well and cross train. Very proud of the hard work, keep it up. 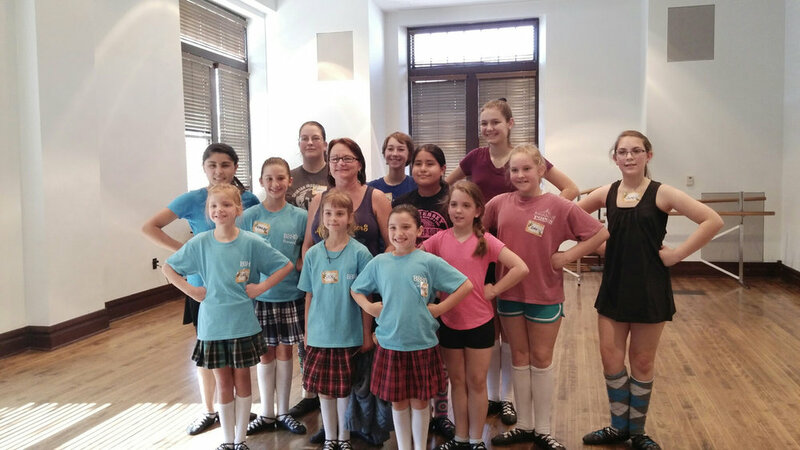 We were able to attend a great workshop for Highland Dance that was held in McKinney Texas..The workshop included 5 different Highland Dance schools 4 in Texas and one in Oklahoma. Dancers love to get to see their friends from other schools and work hard together. Making great memories. 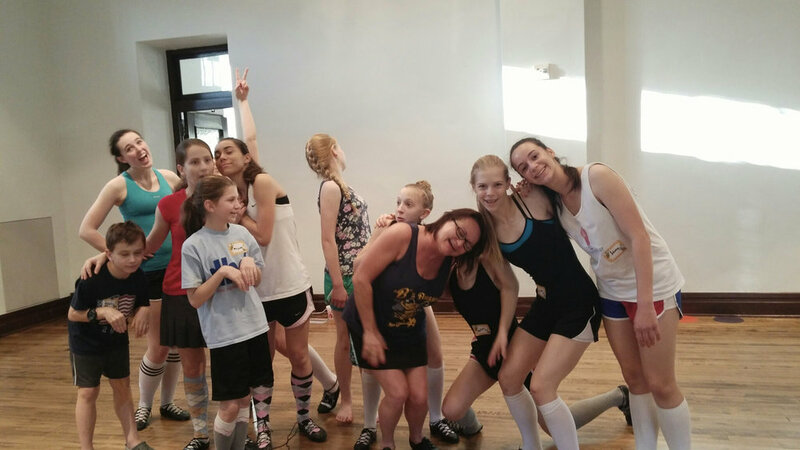 Ms. B was an amazing instructor and our dancers learned a lot! Many were sore the next day, working on those turn out muscles. Medal testing this year was great! We had 6 dancers take 11 tests. Each of them did very well! Our lovely examiner had such lovely things to say about the dancers. Was a great experience for those that were able to do exams this year. Was hoping to get a photo of dancers with the Examiner but we were just too busy, maybe next year! Super job kids very proud of each of you! This Friday is our first school Photo session! We are super excited about this! I will take photos of our session and post some next week. Dance workshop this up coming Saturday! Get ready to work hard! We will be attending the Fling Spring in McKinney at the town square this Saturday, run by Mary Beth Klein. Can''t wait! Sign up with your address to receive news and updates. Now launching Murphy Highland Dance new website. Our school is growing and learning. Dallas school- We are working hard on the 2017 Championship steps, gearing up for regionals. Our numbers have been growing and we may have 4-6 dancers competing this year at the southwestern regional championship!. Love to see the good hard work and the practice that is being put forth. We also have a lot going on for the Month of February. We will be doing medal testing which is something that I love. They go before an examiner and dance and also discuss dance theory. It really makes the kids think. Also in February we will be participating in the Spring Fling Workshop! This workshop will be held in McKinney Texas, and the instructor will be Mary Beth Miller Klein. So we are looking forward getting to see other dance friends and dancing hard! Houston News: We currently have Home School classes being held at St. Thomas University. Our dancers are doing really well and getting ready to start to compete! So exciting as our new branch in Houston is stating to grow. Miss S. listening carefully! She is going to compete at regionals for the first time this year! super exciting.